88 percent – that’s how many Ukrainians do not approve of the activities of the current Verkhovna Rada. 8 percent – on the other side of the scale, which they approve fully or at least partially. There is the abyss between these assessments, created by the so-called majority of the current parliament. 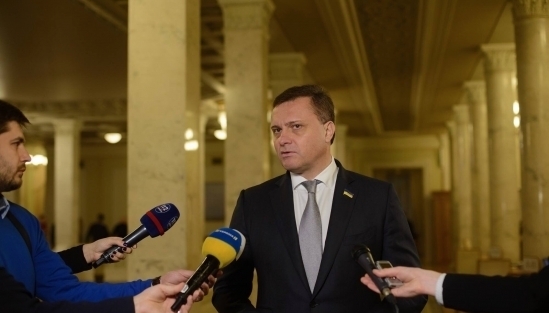 There has no been being the real coalition in the Verkhovna Rada for two years already. The final session has clearly demonstrated this, when pro-government factions could not pass even those initiatives, which they had proposed. It’s not worth talking about laws that society needs, the matter doesn’t lead to them. A typical example: the Opposition bloc faction has submitted 25 draft laws for the eighth session of the current convocation. Of these, only four were included in the agenda. These were proposals aimed exclusively at enhancing the social protection of Ukrainian citizens: improving the social protection of low-income families and their children, the program of affordable housing for young families, raising the level of social protection for Chernobyl victims, ensuring maternity protection, raising the subsistence level and resolving the problems of settlers. If these draft laws came into the session hall for consideration, we would make the parliament to pass them like the law that helped to pay salary arrears to the miners, voted on our requirement on the last session day. Therefore, the authorities decided to hide them from society and prevent them from being passed. Similarly, the draft laws, written in the Minsk Agreements that would help to establish peace in the country, were hidden. Instead, the citizens were shown the prolong show with the adoption of lobbying draft laws, the endless and inconclusive melodrama of electing the Central Election Commission, or attempts to give any investigator the right to shut down websites on the Internet. Even the government demonstrated its attitude towards the parliament, without reporting to it. The parliament does not solve those issues that are really important to people. The budget already has a hole of UAH 36 billion, that is, the government is not able to fulfill even today’s obligations, not to mention the advertised improvement of social standards, like raising the minimum wage to UAH 4,200. Instead, the government drastically reduces the number of recipients of subsidies and their volumes. The inflow of foreign direct investment fell by 2.2-2.8 times in recent years. It is no longer necessary to recall the pre-war $ 7.2 billion (in 2012), since today the government can not return even to the military level of 2016 ($ 3.3 billion). This is inevitable, since investors do not see the prospects for the end of hostilities and do not want to invest in a country where the invested funds can be lost at any time. Adding another increase in the National Bank’s discount rate (up to 17.5%) to the above and the absence of any government programs to support the economy, it becomes clear that there is no prospect for the restoration of domestic industry under the current political course. Ukraine needs new political priorities: the implementation of the Minsk agreements, work on economic growth instead of demonstrating political egoism, and most importantly, achieving peace. Only then domestic and foreign investments can ensure the positive dynamics of the Ukrainian economy, and, accordingly – the real growth of incomes. But as long as there is nobody to solve these problems, today is the last day of the parliament’s vacation.